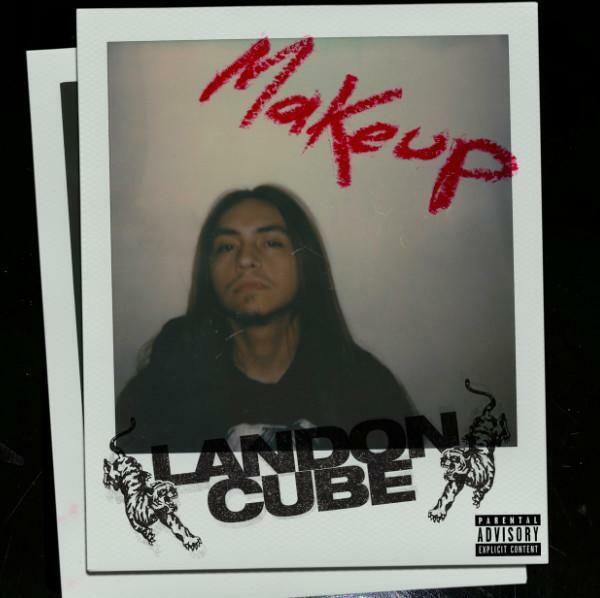 Landon Cube Releases His New Track "Makeup"
Home>New Songs>Landon Cube Songs> Landon Cube Releases His New Track "Makeup"
Landon Cube comes through with new solo music. Landon Cube is slowly establishing himself as a solo artist. Many people were introduced to Landon's music through his appearances on Lil Skies tracks. However, those appearances also showed glimpses of his potential to become a star in his own right. Unfortunately, he hasn't delivered us as much music as we'd like to hear from him but when he does drop, it's always dope. This week, he came through with his latest single, "Makeup." Landon Cube is back with some new vibes on his latest track, "Makeup." Landon serves up a passionate break-up anthem on his latest track while showcasing his vocals over guitar-based production from Croisade. "Makeup" serves as his first single of the year, following the release of "Can U Feel Your Face" featuring Lil Gnar. SONGS Landon Cube Releases His New Track "Makeup"